Allowing a PIL filed by one Dilip K Basu seeking prison reforms and filling of the vacancies of the state human rights commission, the Supreme Court on Friday directed the Union government and all the states to install CCTV cameras in all the prisons across the country and take a call on installing them in police lock-ups, if there are incidents. A bench of the Apex Court comprising of Justice TS Thakur and Justice R Banumathi in their judgment said that CCTV cameras should be installed in the prisons within one year but not later than a year. The court also suggested that all lock-ups in the country should have CCTV cameras installed as per the satisfaction of the police commissioner/ DGP concerned. This was, however, left to the discretion of the respective states and Union territories. The Supreme Court also said that every police station should have at least two women constables to deal with women who are accused or suspects. Writing the judgment for the bench, Justice T S Thakur further asked all the state governments to fill up the vacancies in the state human rights commissions within a period of three months. The Apex Court also directed the union territories to set up state human rights commission, noting that none of the them, including Delhi, have their own state human rights commission. The suggestions made by amicus curiae appointed by the Court to render assistance to it in the matter, namely senior lawyers Abhishek Manu and PK Mullick were also taken into consideration by the Supreme Court while passing orders in the petition. 1. The States of Delhi, Himachal Pradesh, Mizoram, Arunachal Pradesh, Meghalaya, Tripura and Nagaland shall within a period of six months from today set up State Human Rights Commissions for their respective territories with or without resort to provisions of Section 21(6) of the Protection of Human Rights Act, 1993. 2. All vacancies, for the post of Chairperson or the Member of SHRC wherever they exist at present shall be filled up by the State Governments concerned within a period of three months from today. 3. Vacancies occurring against the post of Chairperson or the Members of the SHRC in future shall be filled up as expeditiously as possible but not later than three months from the date such vacancy occurs. 4. The State Governments shall take appropriate action in terms of Section 30 of the Protection of Human Rights Act, 1993, in regard to setting up/specifying Human Rights Courts. 5. The State Governments shall take steps to install CCTV cameras in all the prisons in their respective States, within a period of one year from today but not later than two years. 6. 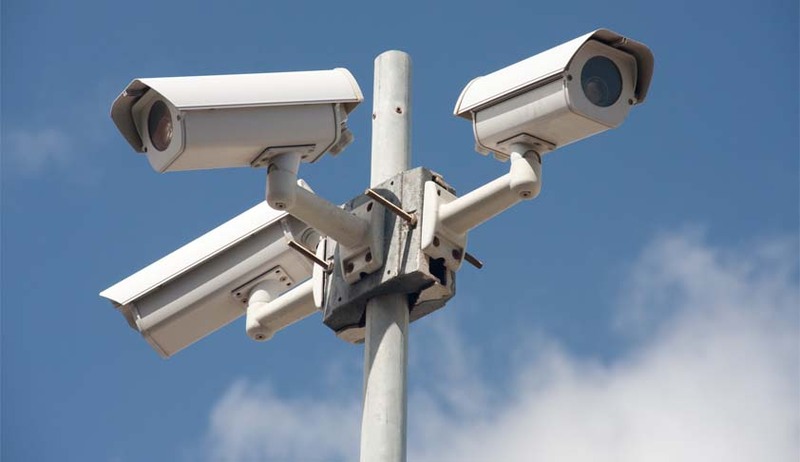 The State Governments shall also consider installation of CCTV cameras in police stations in a phased manner depending upon the incidents of human rights violation reported in such stations. 7. The State Governments shall consider appointment of non-official visitors to prisons and police stations in terms of the relevant provisions of the Act wherever they exist in the Jail Manuals or the relevant Rules and Regulations. 8. The State Governments shall launch in all cases where an enquiry establishes culpability of the persons in whose custody the victim has suffered death or injury, an appropriate prosecution for the commission of offences disclosed by such enquiry report and/or investigation in accordance with law. 9. The State Governments shall consider deployment of at least two women constables in each police station wherever such deployment is considered necessary having regard to the number of women taken for custodial interrogation or interrogation for other purposes over the past two years. It was in D.K.Basu -1 , Supreme Court issued the following landmark Guidelines relating to Arrest and Custody which later became part of chapter V of Code of Criminal Procedure Code. (1) The police personnel carrying out the arrest and handling the interrogation of the arrestee should bear accurate, visible and clear identification and name togs with their designations. The particulars of all such police personnel who handle interrogation of the arrestee must be recorded in a register. (2) That the police officer carrying out the arrest of the arrestee shall prepare a memo of arrest at the time of arrest a such memo shall be attested by atleast one witness who may be either a member of the family of the arrestee or a respectable person of the locality from where the arrest is made. It shall also be counter signed by the arrestee and shall contain the time and date of arrest. (5) The person arrested must be made aware of this right to have someone informed of his arrest or detention as soon he is put under arrest or is detained. (6) An entry must be made in the diary at the place of detention regarding the arrest of the person which shall also disclose the name of he next friend of the person who has been informed of the arrest and the names and particulars of the police officials in whose custody the arrestee is. (8) The arrestee should be subjected to medical examination by trained doctor every 48 hours during his detention in custody by a doctor on the panel of approved doctors appointed by Director, Health Services of the concerned Stare or Union Territory. Director, Health Services should prepare such a penal for all Tehsils and Districts as well.